From the time cars were invented and the start of the burning of fossil fuels, we have been polluting our precious world. Motor vehicles produce many harmful chemicals and sulfur dioxide. All of these things pollute the air and make it so the air we breathe isn’t clean. “Should air pollution go unchecked, we can expect our skies to become foggier and our oxygen harder to breathe. Not only will this mean personal discomfort and hazard but could also play havoc with agriculture. Mounting levels of CO2 in the Earth’s atmosphere would raise temperatures, melting the polar ice caps and rising sea levels. Furthermore, over-pollution of the skies would eventually block out the sun, not only leaving us cold and dark but without any way of growing crops and feeding livestock,” says Pollution solutions. Along with ruining the air we breathe, we also hurt our environment and the animals we share this earth by producing massive amounts of unnecessary garbage — especially plastic. Over 100 million marine animals are killed each year due to the all the plastic that is littered and not disposed of properly. “Normally, plastic items can take up to 1000 years to decompose in landfills. 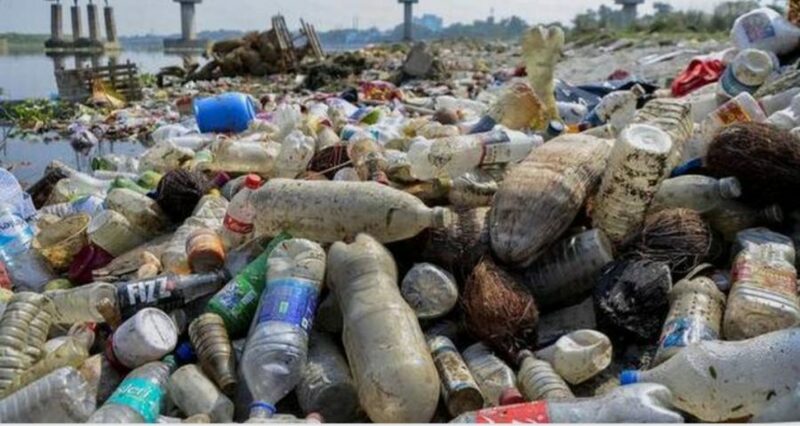 But plastic bags we use in our everyday life take 10-1000 years to decompose, while plastic bottles can take 450 years or more,” says Balance SMB. If we don’t stop all of our bad habits while we are ahead, we may never be able to come back from it. Luckily, there are many solutions. Recently, many zero waste products have been popping up everywhere. Reusable straws are just one out of many. People can also start using reusable bags and bring glass jars to grocery stores so no more plastic bags for packaging are needed. We all need to come together and make a change for the world we know and love, because one day if we don’t stop our bad habits, it will be gone.